I’ve waiting forever to do this with you! 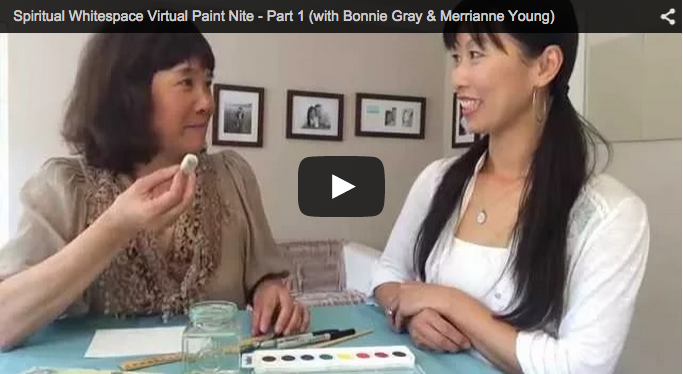 Here below in this post, I’ve brewed up TWO Spiritual Whitespace Paint Nite Videos that I created — just for you — to enjoy with your friends! Since we launched our Virtual Spiritual Whitespace Book Club, I’ve wanted to do a Paint Night together! To celebrate and thank you for taking the journey of soul rest — and sharing the book with your friends! 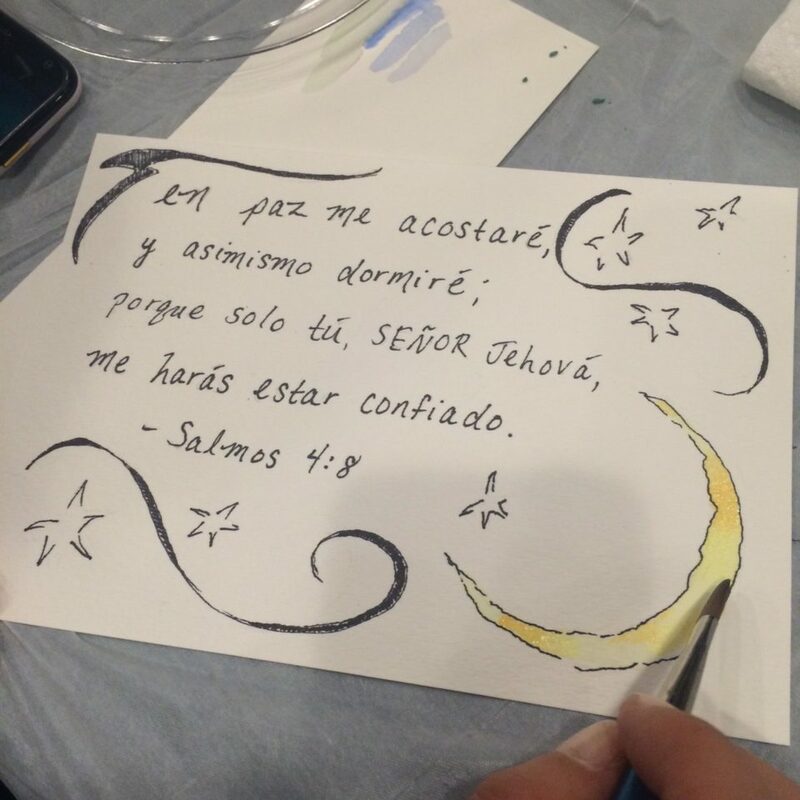 Just last night, I enjoyed Paint Nite with my Spiritual Whitespace Group at my home church! 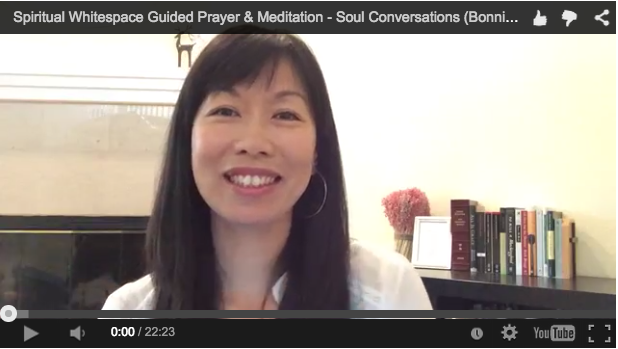 We first enjoyed an an hour of guided reflection, prayer and meditation, journaling and sharing (you can enjoy this Bonus Soul Conversation Video too. Sign up below.). 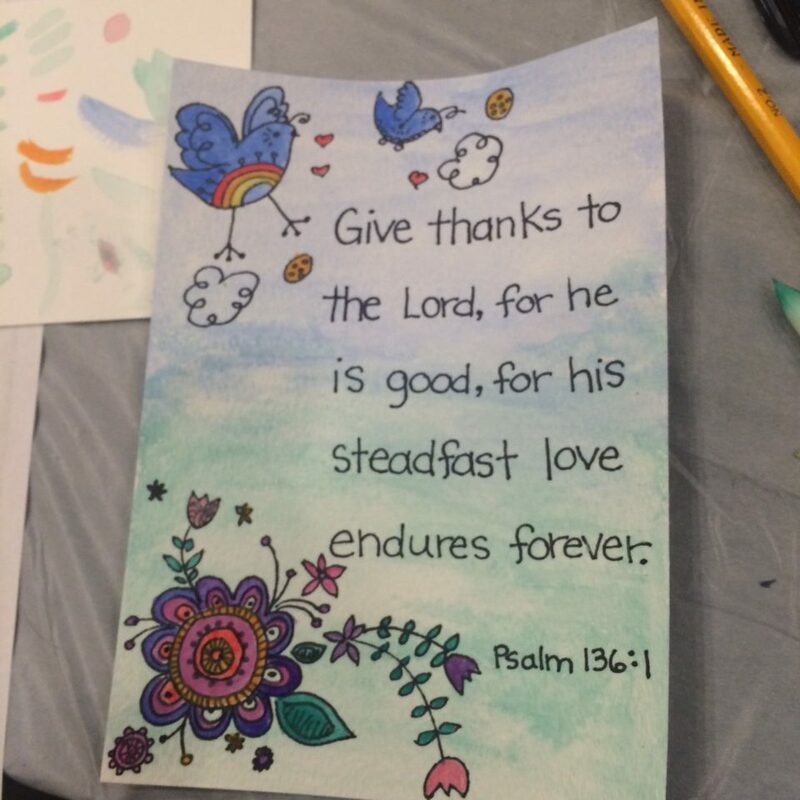 Then we enjoyed a second hour painting what we received from the Lord during our first hour of prayer and meditation. Here are some photos from our evening last night. 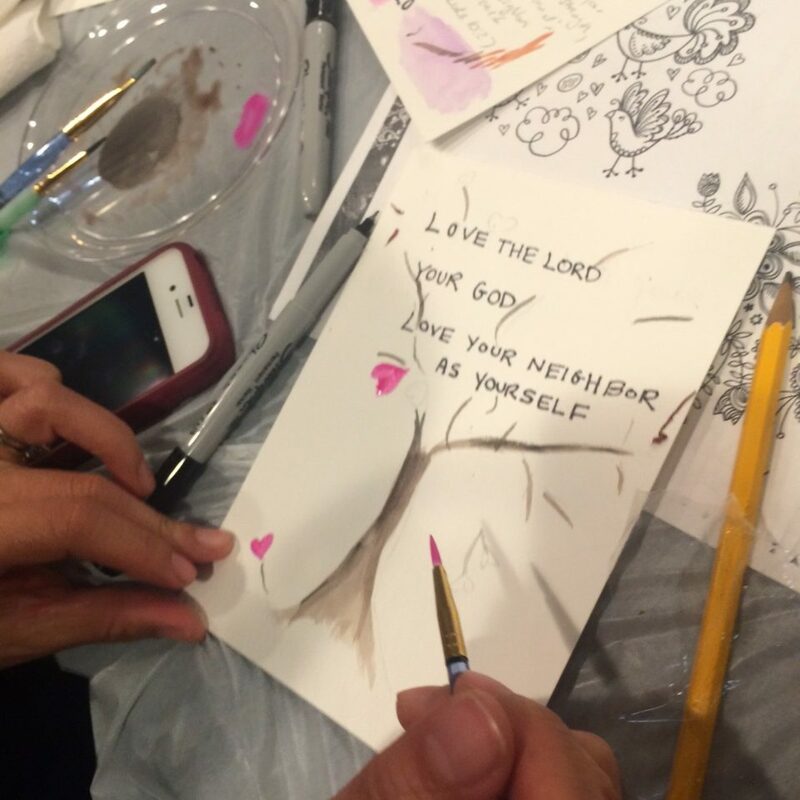 It was a holy time — a refreshing way to enter into Holy Week — sacred as we shared our hearts with God and expressed them on canvas and with each other. one kindred had not done any art since she became a mom… another had never tried line drawing before… and look what emerged! 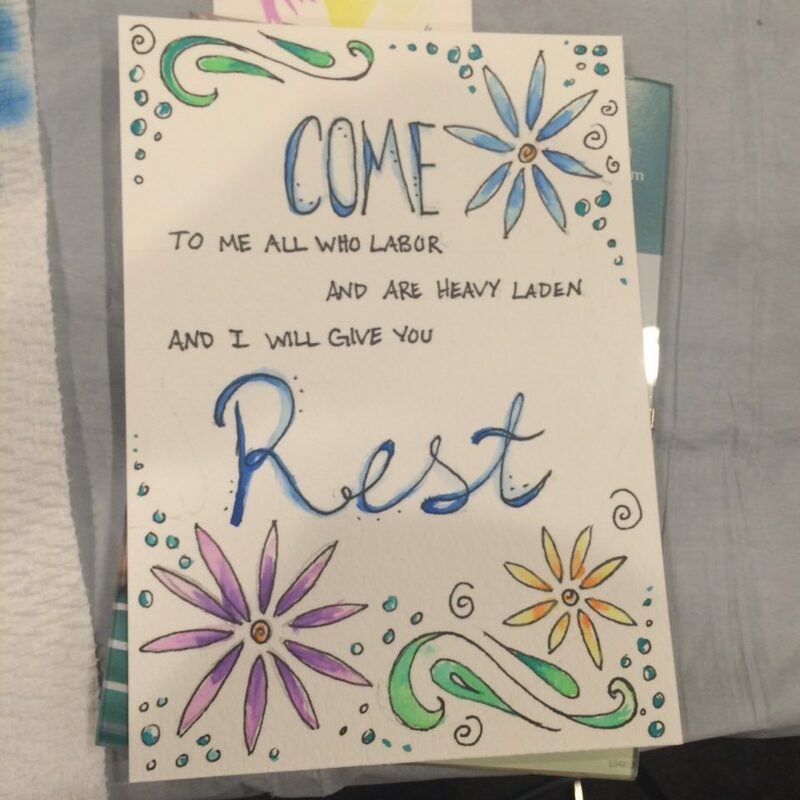 It was beautiful to see each woman at rest, painting, enjoying stillness, and just being at ease — and everyone left refreshed and soul-filled. I imagined how happy Jesus was last night, walking around the room, seeing the words He whispered to each woman come alive with color and beauty. And I can’t wait to see yours! Share Your Paintings With Me! 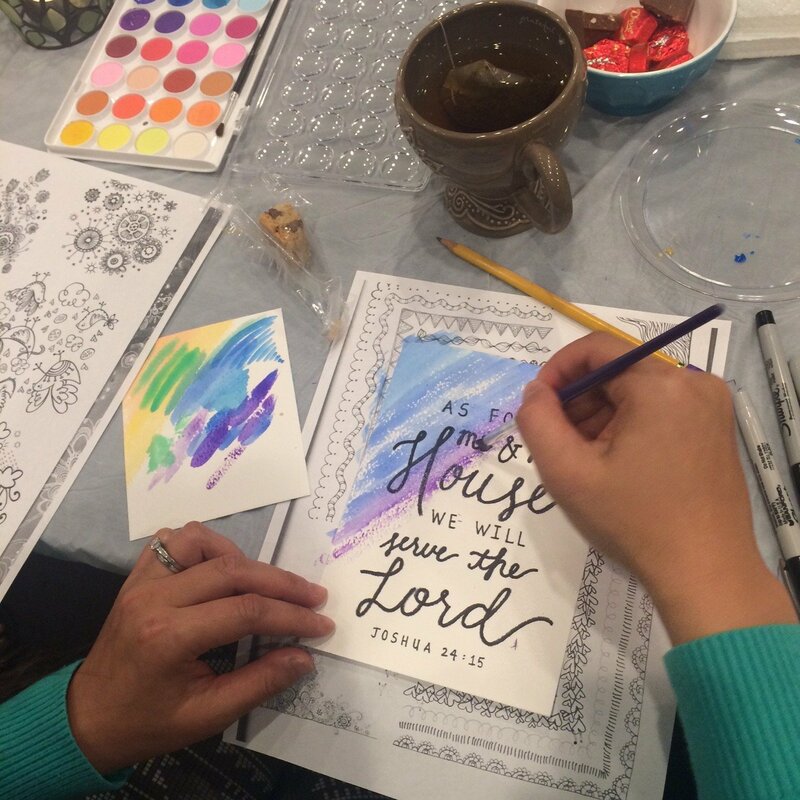 Please share photos of your paintings on Instagram, Facebook, or Twitter using hashtags #spiritualwhitespace #paintnite – tag me too! I’ll be in suspense to see what you create in spiritual whitespace! 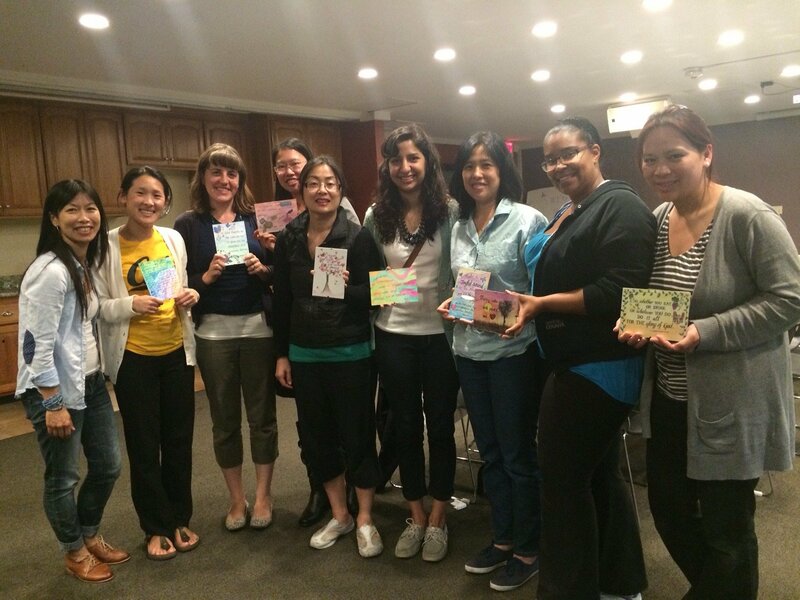 I invited art teacher Merrianne Young, graduate from Berkeley’s School of Fine Arts, to host our Paint Nite with me. 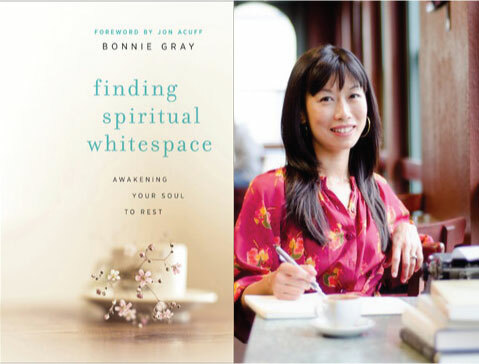 Merrianne’s the friend I wrote about in my book Finding Spiritual Whitespace! So neat you can enjoy her company too! Two Paint Night Videos for you! I’ve led groups to do this Spiritual Whitespace activity in person and it’s always been such a soulful, fun time. I’ve been so excited to do create this videos — so you can enjoy these with your friends too! 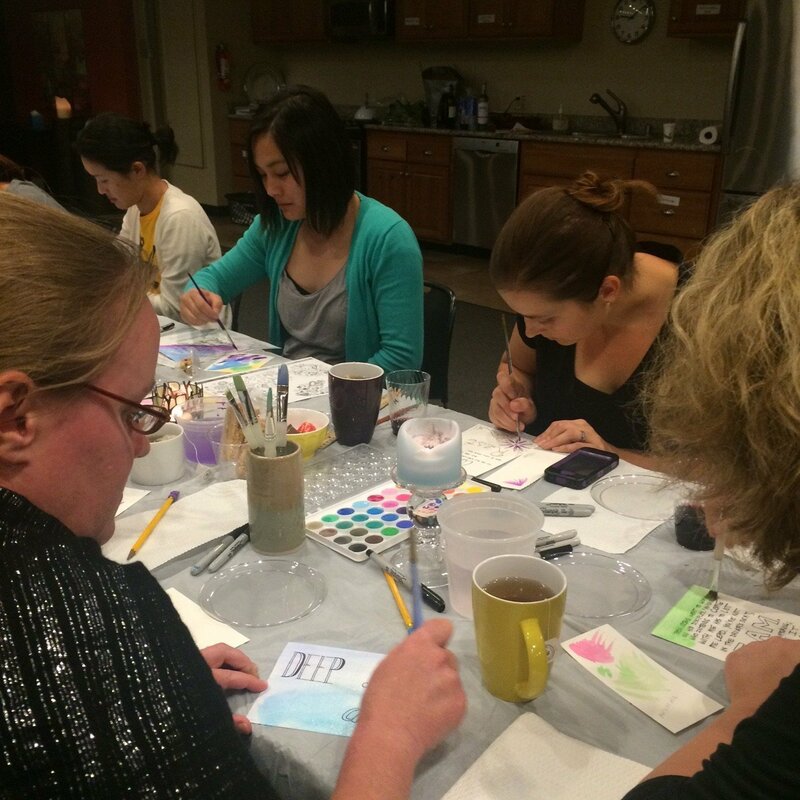 Okay, here are the Spiritual Whitespace Paint Nite Videos. Important: There are TWO Paint Nite Videos (Part 1 & Part 2). 6 min. We reveal what we’ll be painting and how to use our art supplies. 10 min. Merrianne demonstrates Basic Watercolor techniques for us. * Note: Click the “Full Screen” icon on the bottom right corner on the YouTube videos, so you and your Paint Nite friends can watch the videos on full screen. 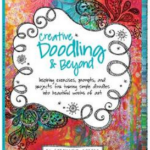 note: the doodling book Merrianne uses is Creative Doodling & Beyond by Stephanie Corfee. Added Bonus for FaithBarista.com subscribers! Exclusive Soul Conversation Paint Nite Video! I get paid as a speaker to do a guided soul reflection, prayer and meditation with church and community groups. I’d like to offer a bonus paint-nite-version as a gift to you and your friends free. What do you think? 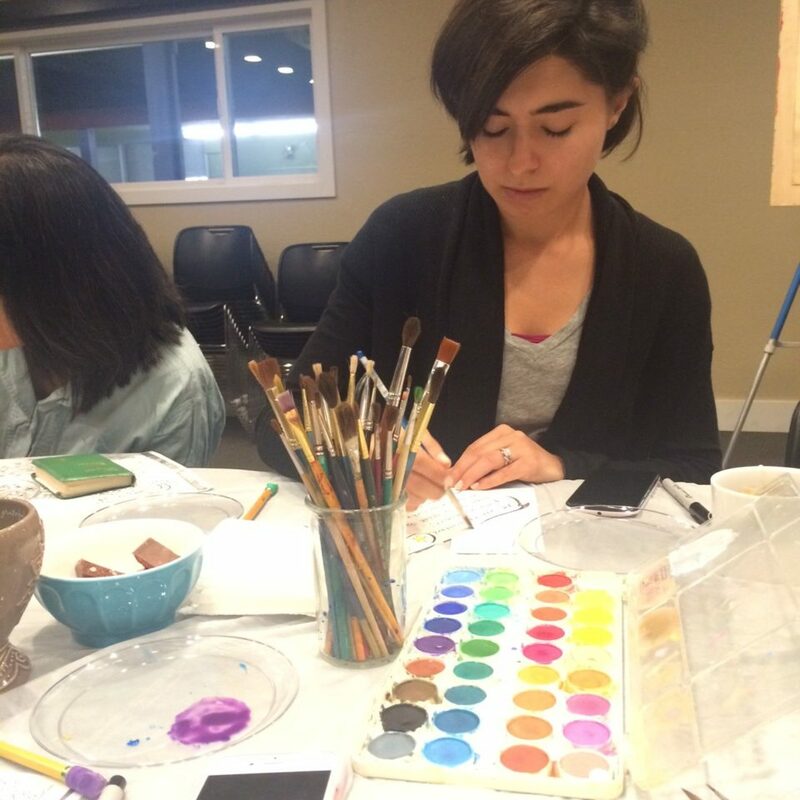 Have a Spiritual Whitespace Paint Nite scheduled? 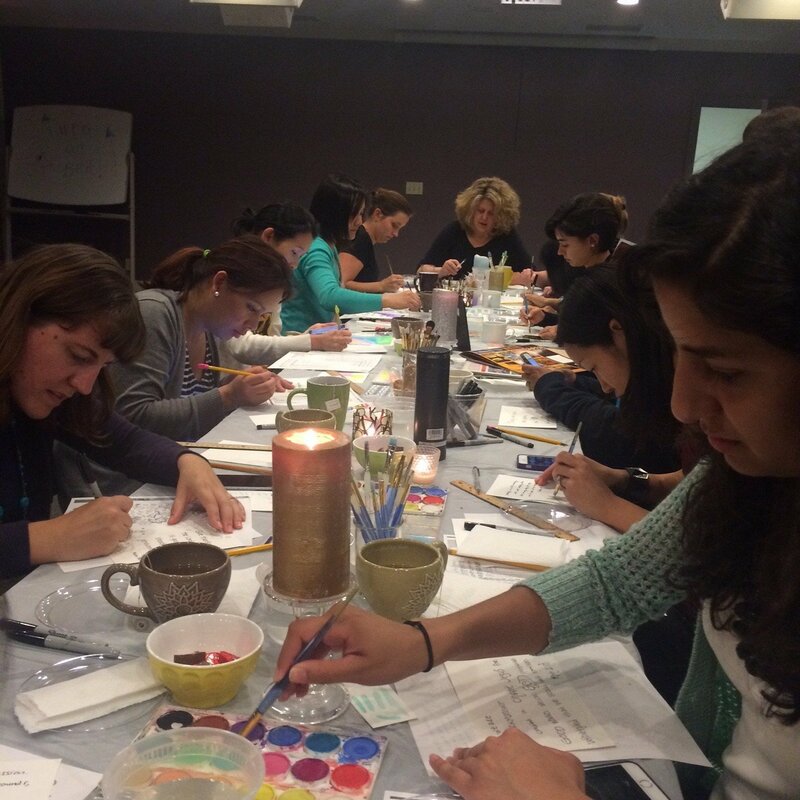 It’s not too late to organize a Spiritual Whitespace Paint Nite! Just invite one or a group of friends to your home or church. 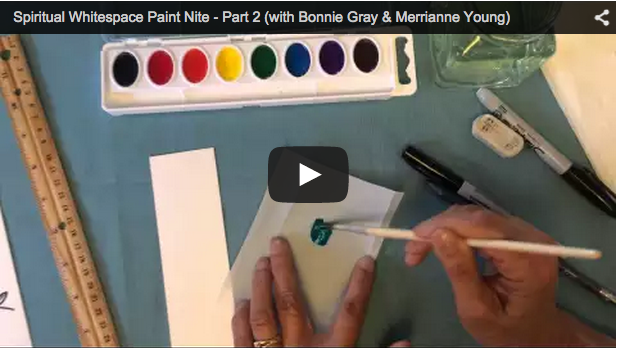 Click here to watch the Paint Nite Prearation Video & learn what you’ll need to prepare. Setup a Paint Nite any time. These videos are available here for you! Be sure to let me know.. I get excited knowing kindreds are gathering for soul-refreshing time together! Be New. It's Easter. The Living Way. What a lovely group of women! That must’ve been a sweet, special evening. Side note: I had to invest in a covered mug, as I found myself dipping into my tea cup. Haha! 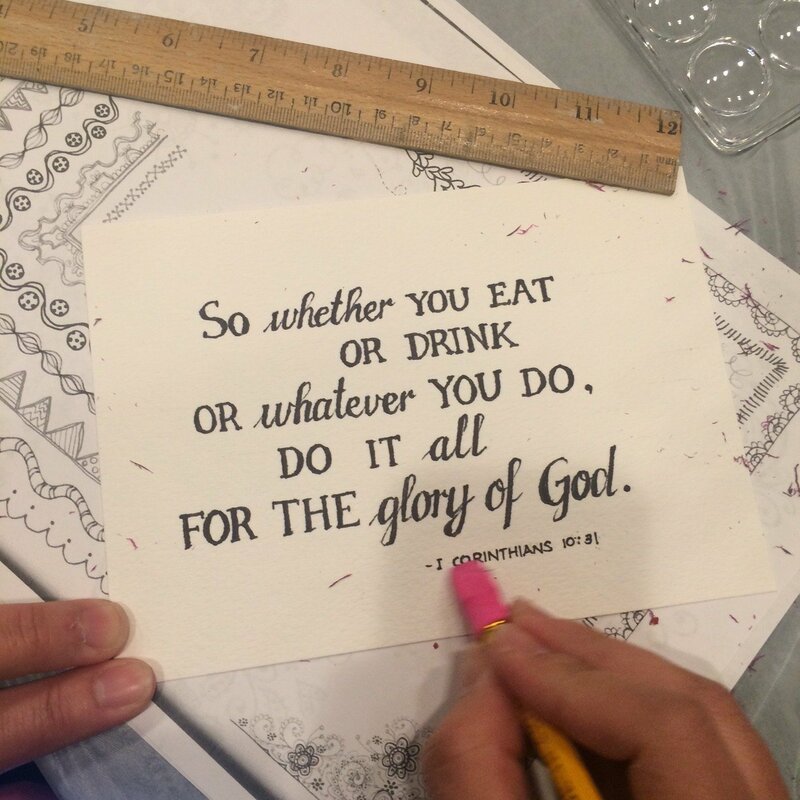 I want to see more watercolor scripture pictures! Like food for the eyes- and the soul.